Brought together by curator Amrita Dhallu, the group is concerned with the potential and limitations of possessing a colonised body caught in the system that oppresses it. Through a range of disciplines, each artist explores embodied experiences of shifting between the physical and spiritual, mobility and entrapment, erasure and hyper visibility. Their works also address how history is constituted and transported within the diasporic body, particularly at moments of migration. Together they will consider how well-being and creative labour relate to one another through developing a discourse around self-care and healing within their own working practices. Kobby Adi, Lives and works in London. b.1995. Tamar Clarke-Brown is a London based artist, writer and curator. Her interdisciplinary practice is focused on experimental futurisms, choreographies, technologies and the black diaspora. Tamar has worked with institutions including Serpentine Galleries and Autograph ABP and presented at the ICA, Tate Galleries, Kadist (Paris), Bard Berlin and more. Tamar contributes to platforms including i-D, Gal-Dem, Protein Journal, AQNB and Screen Shot Magazine. Amrita Dhallu is a curator working across London and Birmingham. 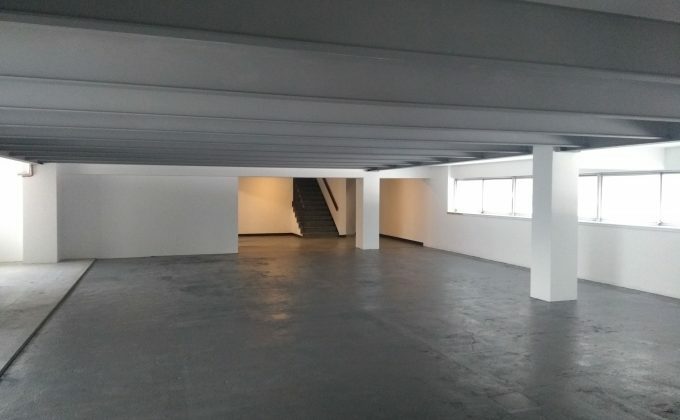 She currently holds the post of Curatorial Assistant: Commissions at Chisenhale Gallery, London. Her work focuses on providing support structures for emerging British artists of Black and Asian descent, through commissioning, creating networks and establishing intergenerational learning spaces. Her current research looks at radically positioning care and wellbeing within formal arts education in order for artists to re-think ways of professional development. Priya Jay is a researcher using curatorial, artistic and herbalist methods to develop a practice that is healing and experimental. Her background is in anthropology, with specific focus on digital and decolonial ecologies. She is interested in our collective futures and the question guiding this practice is, How can we (in allyship with our bodies, each other and the earth) be well? She co-runs Patchwork Archivists, formed out of a need to create and hold space for the histories within, across and between south asian diasporas. Priya currently works with Barbican and Iniva, and has previously worked with Autograph ABP, Wellcome Trust and Approved By Pablo. Rosa-Johan Uddoh is an artist living and working in London. She studied Architecture Ba at Cambridge University and MA Fine Art Media at Slade School of Fine Art as a Sarabande: Lee Alexander McQueen Foundation Scholar. She is a New Contemporaries Artist 2018 and recently received the Liverpool Biennial Fellowship for 2018-19. The aim of Rosa’s artistic practice is to reach maximum self-esteem. She does this through making performances, ceramics, fan-fiction, video & sound, exploring spatial agency, collective popular memory, and radical self-love. Georgia Lucas Going recently graduated from Slade School of Art with an MFA in Fine Art Media. Recent shows include; (NOT) All Personal at the Alexander McQueen Studios, London, UK, Widening the Gaze at Slade school of Art and KNOW WAVE radio show with Eddie Peake’s record label Hymm. Lucas-Going was selected for Bloomberg New Contemporaries 2016 and is currently scholar at the Sarabande foundation, one of the artist’s in residence at Wysing with the collective ‘FORMELY KNOWN’ and recently been chosen as one of Deptford X artists of 2018. Hamed Maiye is a multidisciplinary artist and curator based in London that uses portraiture as a means of expressing emotional identity and heritage. Maiye founded the arts movement ‘Afro-Portraitism’ which documents the multifaceted image of the contemporary youth of the Afro-Caribbean diaspora whilst exploring the concept of self representation. One of the key drivers in Maiye’s collaborative practice is the introduction of new personal narratives and creating visibility for those who are often marginalised. Seema Mattu looks at presenting a self-awareness of the ethnic self in a digital space. This othered self, is comprised of four key components of minority: race, gender, caste and sexuality. Seema is also the director of Tombay . TOMBOY is an art initiative which sparks minority discourse through video, performance and events. We focus particularly on digital media as a convo-filter and recognise the need to platform such practices, in addition to shifting art traffic from London to non-London within the UK. Joy Miessi utilises a range of processes to compose pieces that make reference to the duality of everyday life in the UK and her Congolese heritage. Joy has exhibited at Transmission Gallery, 198 Gallery, and at gal-dem’s Friday Late at the Victoria and Albert Museum. Joy has also been a guest speaker at Iniva, Tate Modern and The Courtauld Institute of Art. Previous projects include Project 56: A Celebration of Congolese Culture, Do You Know Your Middle? : a preservation of memories from formative years, and The Gift of a Skort : a series exploring the nuances of gender roles. Zarina Muhammad is an art critic and artist based in London. She is one half of the White Pube, alongside Gabrielle de la Puente, and they publish a review every week on thewhitepube.com. Cancer sun/Aries moon/Sagittarius ascendant. Zeinab Saleh is an interdisciplinary artist and curator. Her artwork explores themes of the digital age, iconography, race and politics. Her work has been exhibited in London, Berlin and Canada. Zeinab had a residency at UCL Art Museum in 2018 and was awarded the Prankerd-Jones Memorial prize in the same year. Ebun Sodipo is a writer and visual artist whose work interrogates and excavates knowledge production, identity construction, the everyday, and online social networks to producing immersive dissonant installations and short videos. They aim to provoke questions about categories and their specific histories; to trouble notions of a ‘natural’ state of being and of knowing; and most importantly to give place to everyday diasporic, marginalised practices as forms of art: as forms of creative living, of lives that constantly offer alternatives to hegemonic ways of being and knowing. Their work finds its impetus in their social positionality/most salient identities: they are queer, non-binary, migrant, African, AMAB, middle class, artist and Black. The 2017 PEER FORUM opportunity at Camden Arts Centre was awarded to lead artist Alicia Tsigarides who will be running a peer mentoring group with Leah Carless , Katharine Fry, Rebecca Jagoe , Olivia Brazier , Annie Attridge , Lindsey Mendick , Alicia Reyes McNamara , Holly Hendry , Mindy Lee and Tenant of Culture . You can read more about the peer group’s activities on the Camden Arts Centre blog.